The book authors, Richard Courtney and George Cassidy embark on the idea treating successes and failures of the Beatles as an inspiration not only for aspiring bands and rock stars but for every business people as well. The Lennon-MCartney decision to always share credit on song provided another lesson, the authors suggest: Don’t waste time arguing over crumbs when that energy could be better used building a bakery, or in this case, the Beatles songbook. The Beatles could have kept arguing about the album’s merits or simply giving up on conquering America. Instead, they kept recording new material and sending it to Capitol for one solid year. Finally, in 1964, Capitol released ‘I Want To Hold Your Hand,’ which became the Beatles’ first No. 1 hit in the United States. 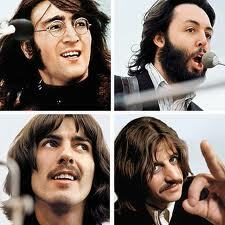 The Beatles is composed of John Lennon, Paul McCartney, George Harrison and Ringo Starr.